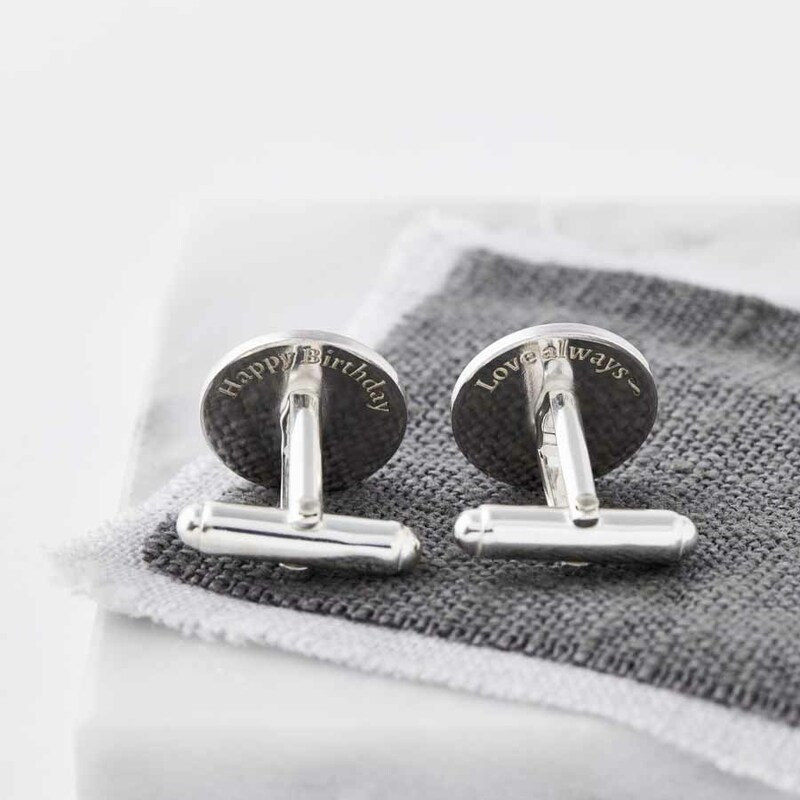 Stunning personalised sterling silver cufflinks with 24ct rose gold accents featuring your words. 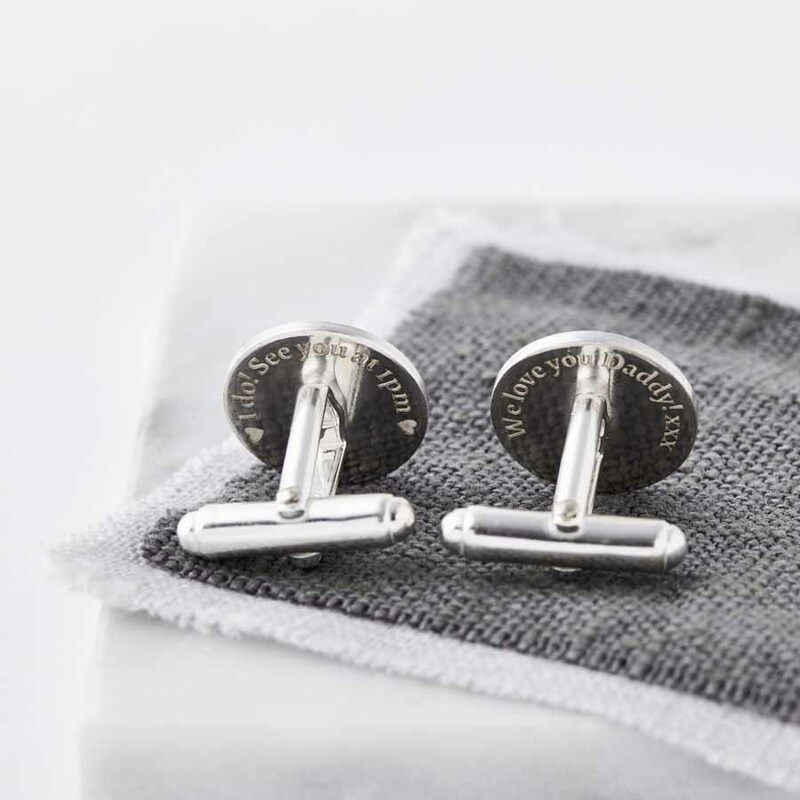 Please enter the names or words you would like us to etch on the front of the cufflinks. 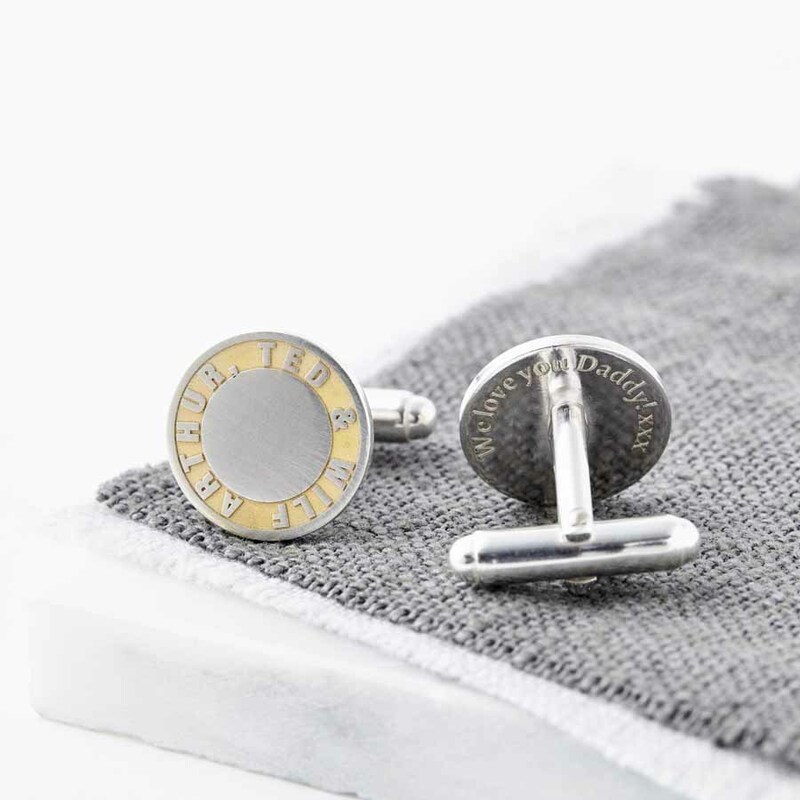 Hand made to order in our studio, we etch the solid silver round cufflinks with your names or words. We then highlight these using 24ct rose gold. Creating a personalised 24ct Gold and Silver Cufflinks. These make a very special gift. Perfect for Father’s Day, with the names of your children. They also make a wonderful Birthday or Anniversary gift as we can etch a short message instead of names, anything up to 25 characters (including spaces and punctuation).